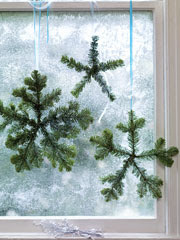 How pretty are these Evergreen Snowflakes? So clever and simpler than wiring together garland! Click here for how-to.